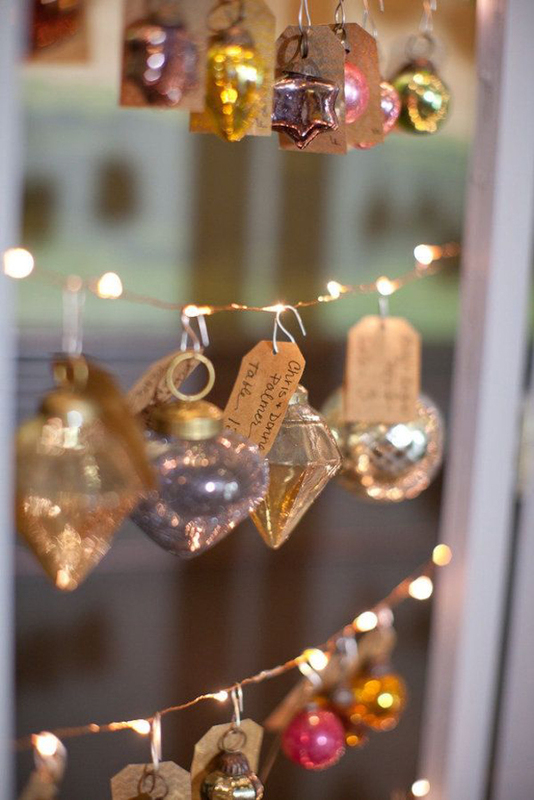 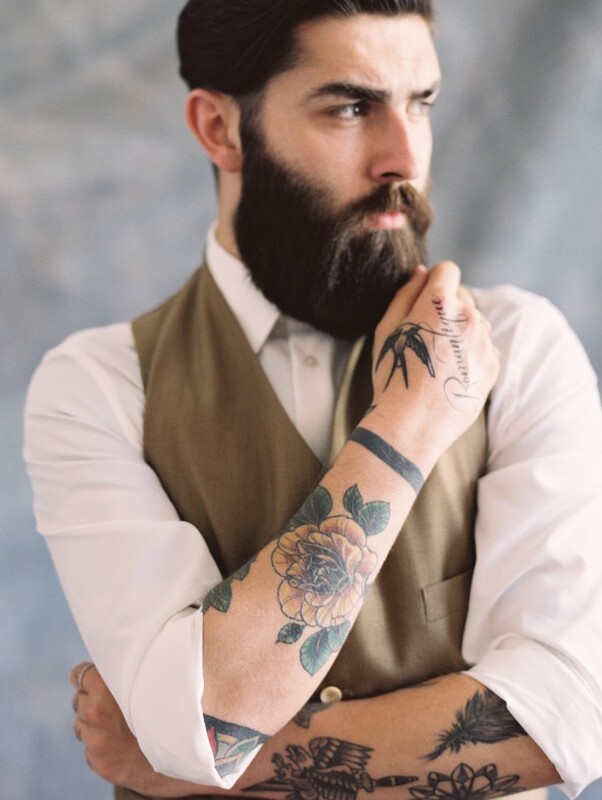 Hello you gorgeous lot. 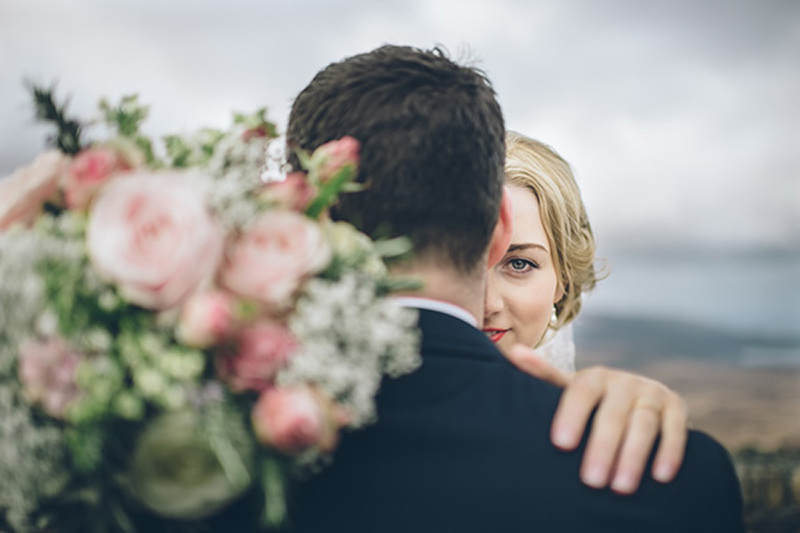 There is a pretty explosion happening on the blog today, the first bout of pretty you might have noticed… is the new blog design?! 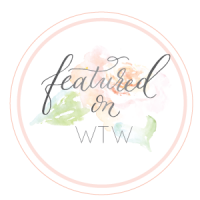 Perhaps a little biased – I have fallen in love with it and think the new design reflects WTW to a tee. 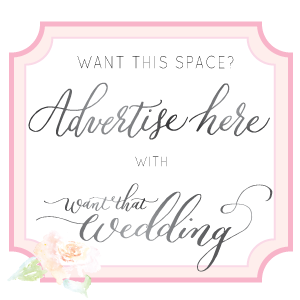 There are still a few tweaks to be carried out, so please do bear with me, and share your thoughts on the new look – I wanna hear from you! 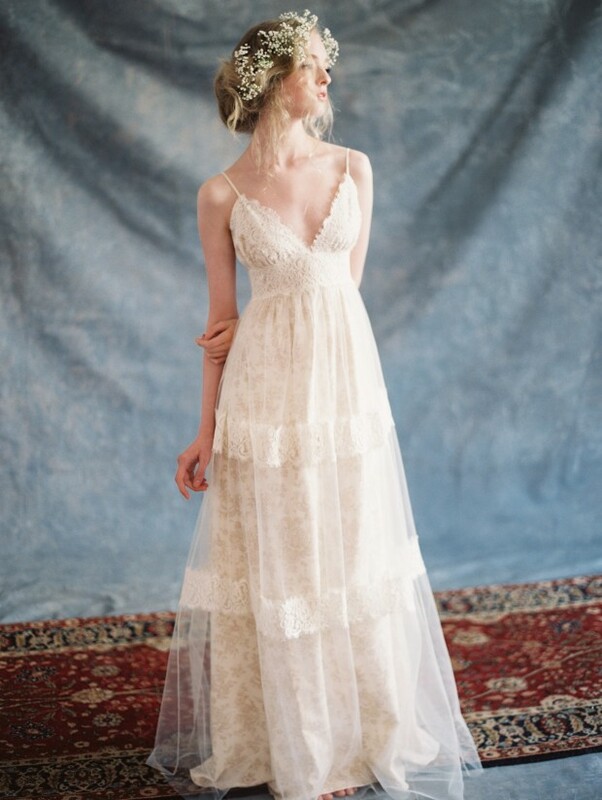 The second dose of prettiness comes from the actual feature [of course], and it seems rather fitting to kick off the new look and feel with the incredibly pretty and feminine ‘Romantique’ collection by Claire Pettibone. 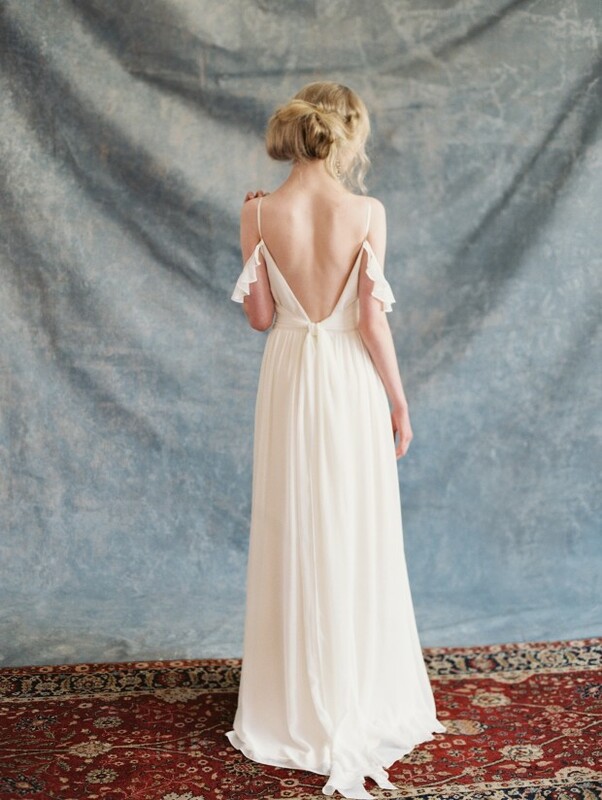 Billed as being a more affordable option than the couture collections, ‘Romantique’ is the perfect pick for any bride looking for a low key, lovely and incredibly pretty wedding gown. 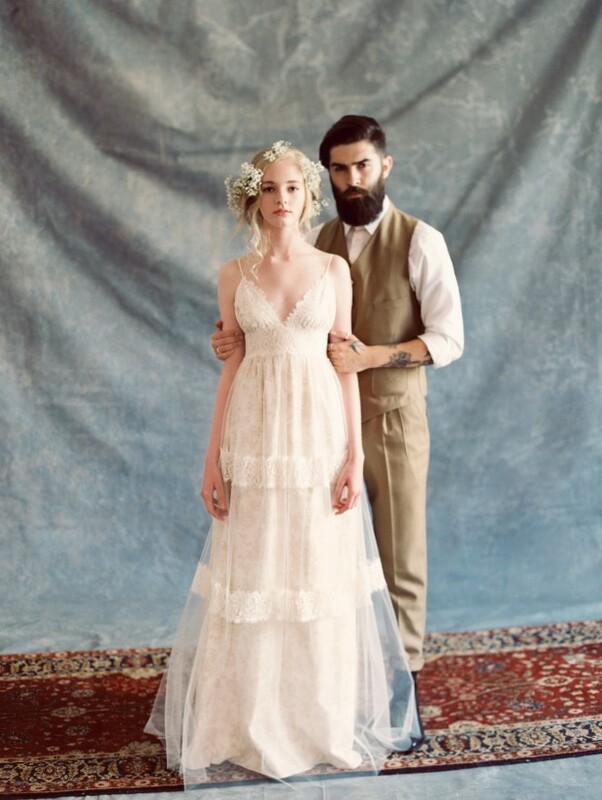 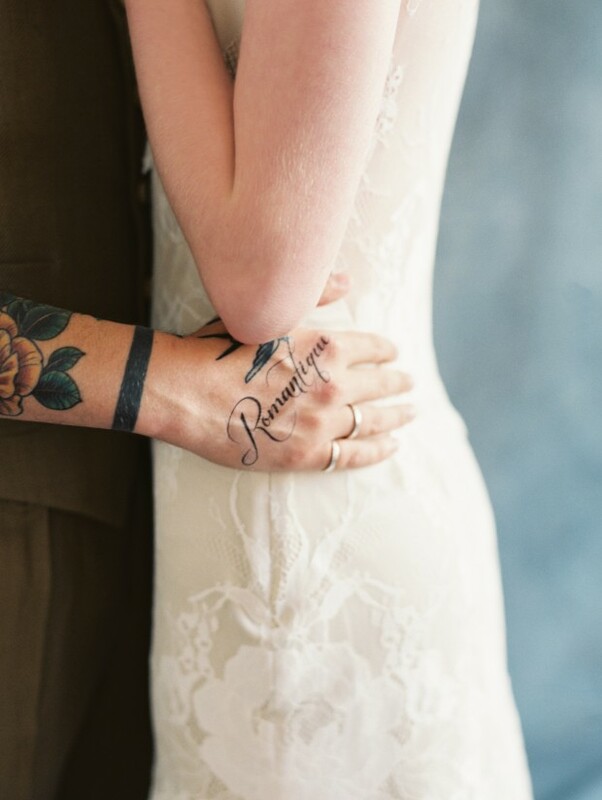 After countless love-letters from brides who adored my collection but didn’t quite have a couture budget, we felt it was time to launch Romantique”, Pettibone explains. 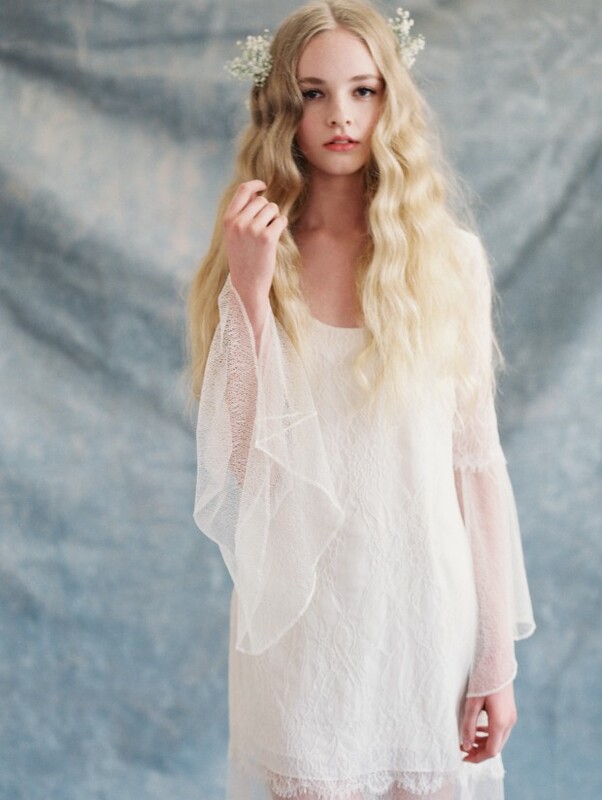 It was really important to me and our company to make this collection with quality and integrity, so we chose to keep the production at home here in Los Angeles. 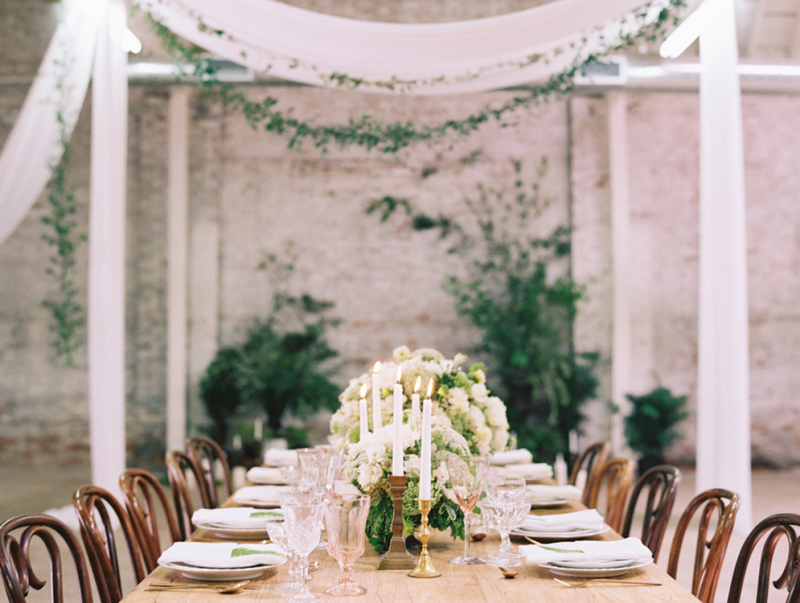 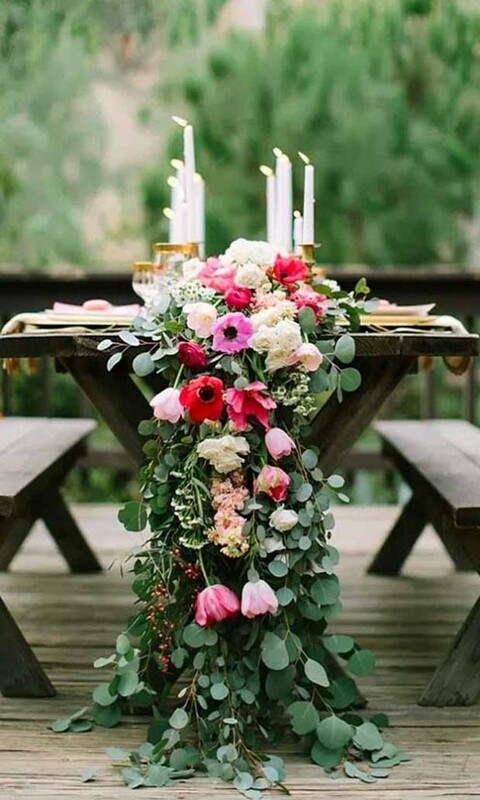 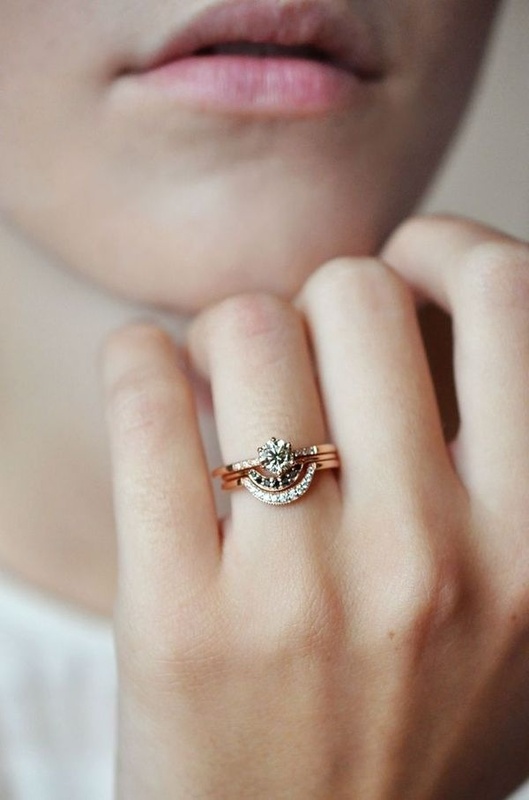 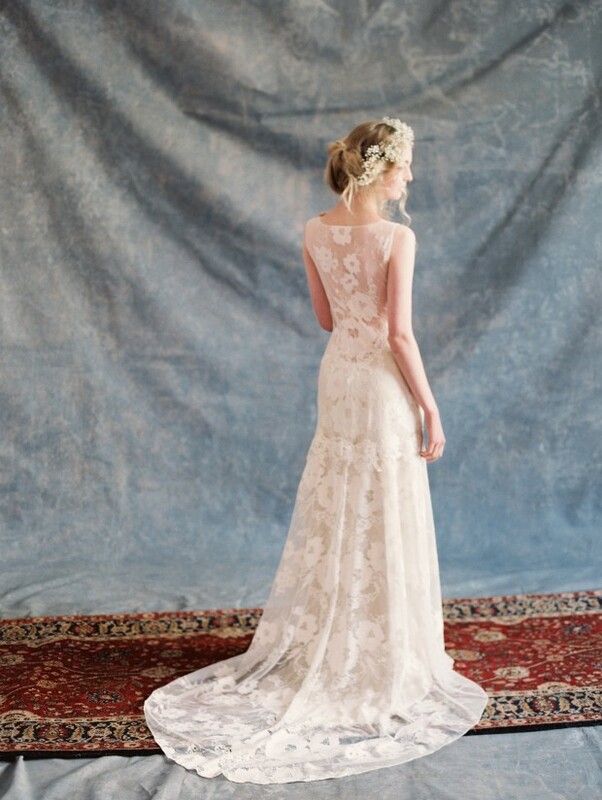 Romantique has a relaxed elegance so that a bride can really make it her own. 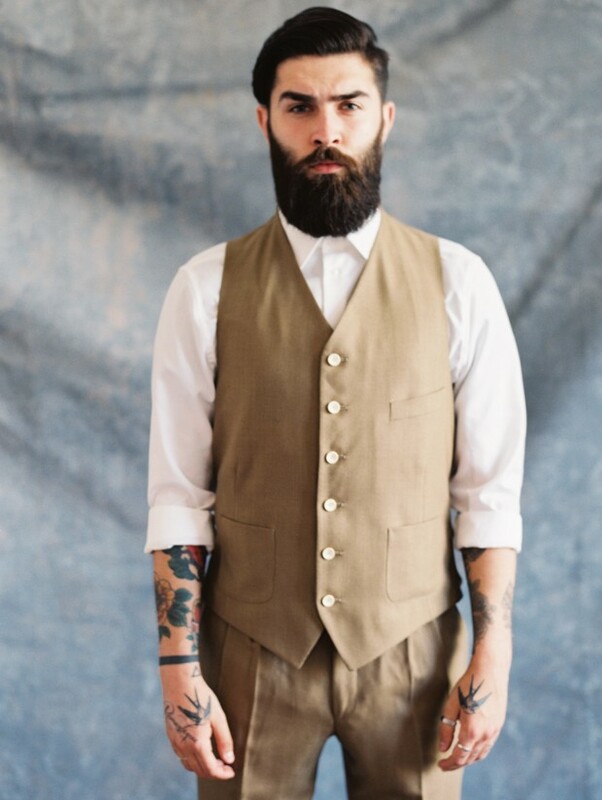 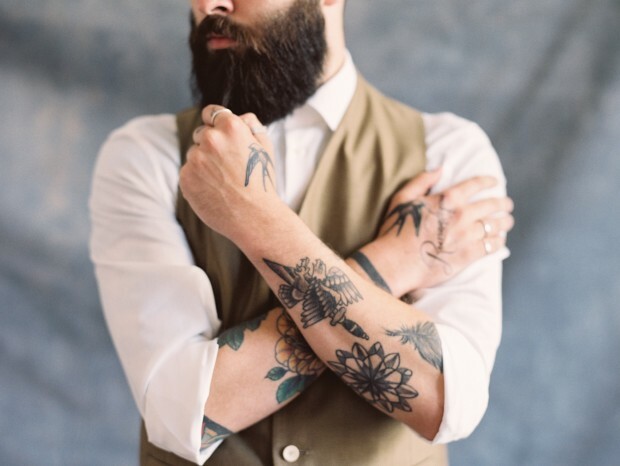 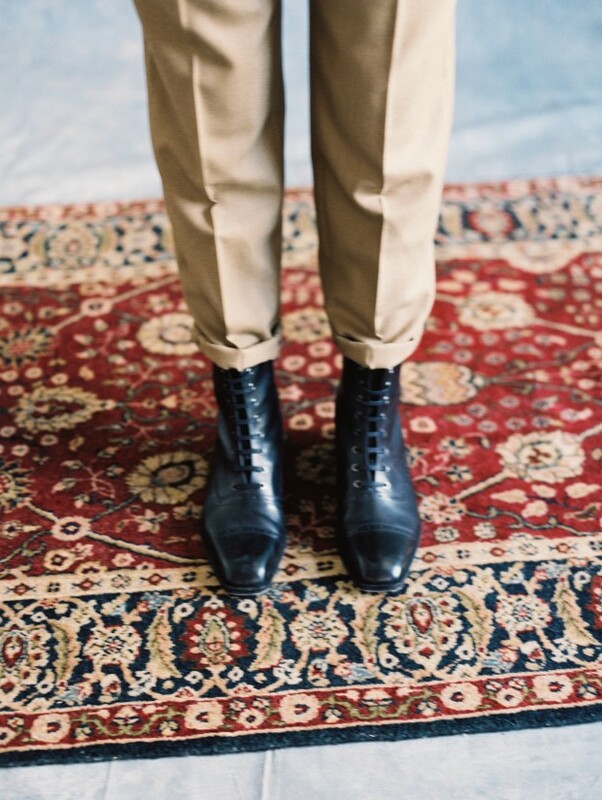 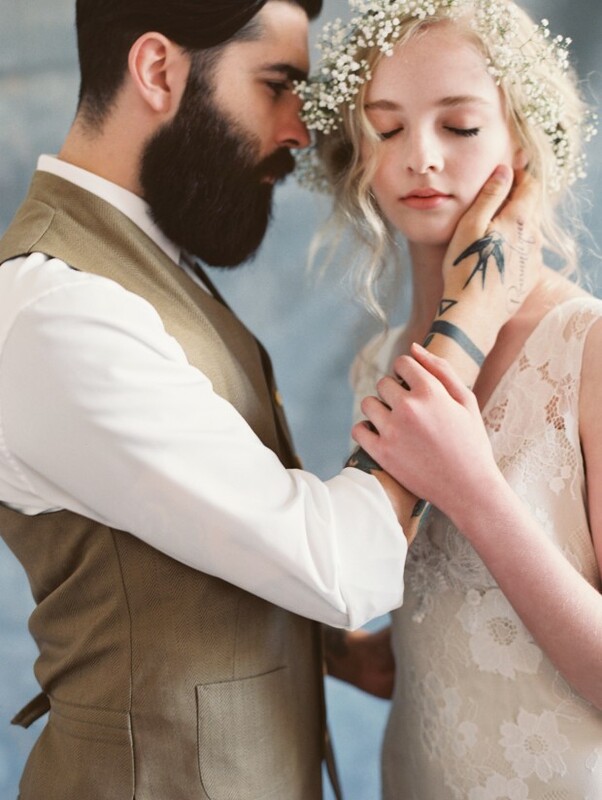 I love that our brides don’t fit into a “type” and that my collection seems to attract the coolest, anti-zilla, girls-you-would-totally-be-friends-with, says the designer. 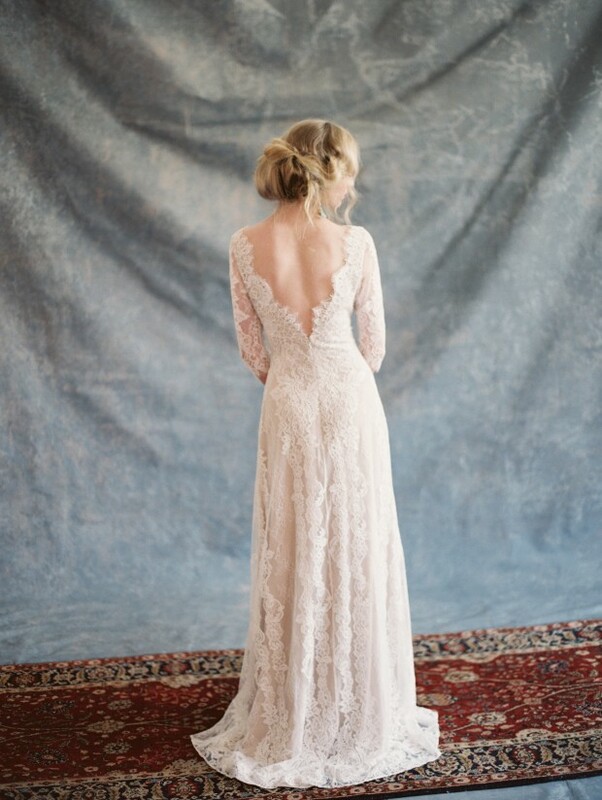 The collection includes a mixture of flowing silhouettes, feminine off-the-shoulder sleeves, delicate embroidered lace, and signature stunning backs. 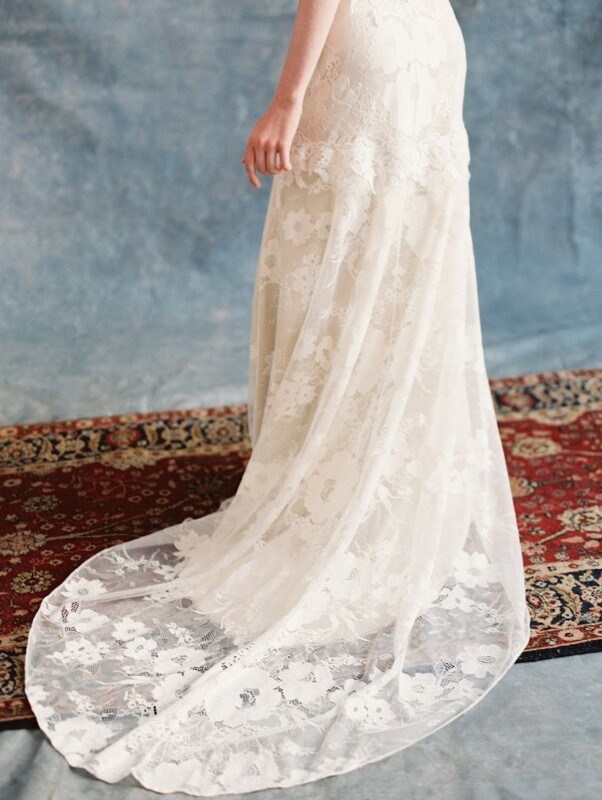 Graceful and ethereal, Claire Pettibone Romantique features understated, elegant gowns priced from $1,500 to $2,800, perfect for your own love story. 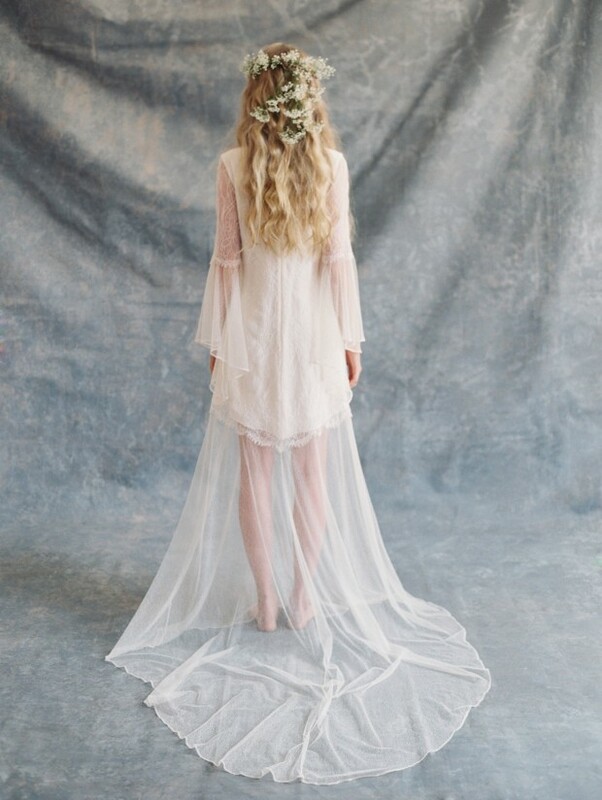 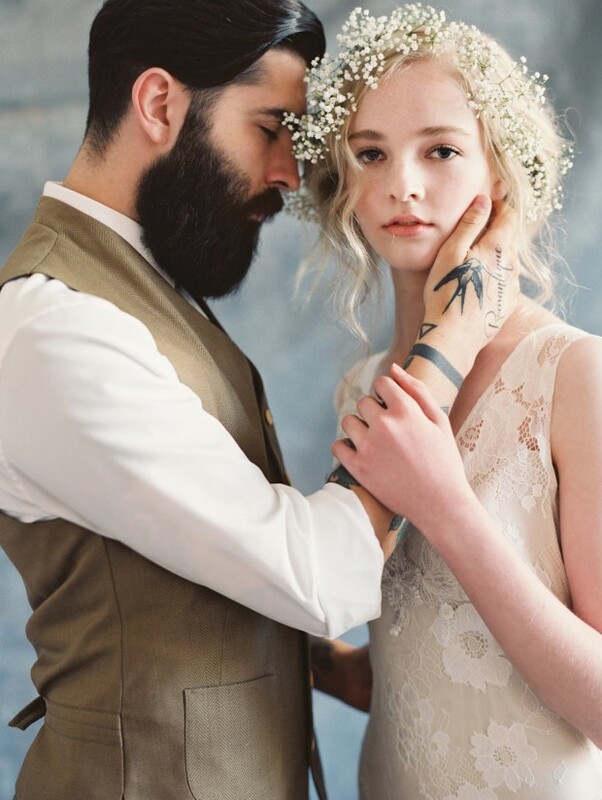 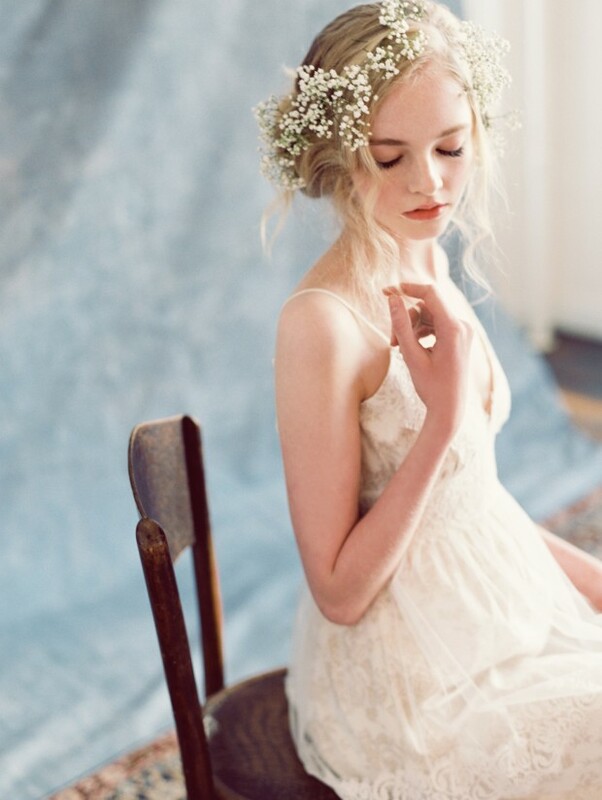 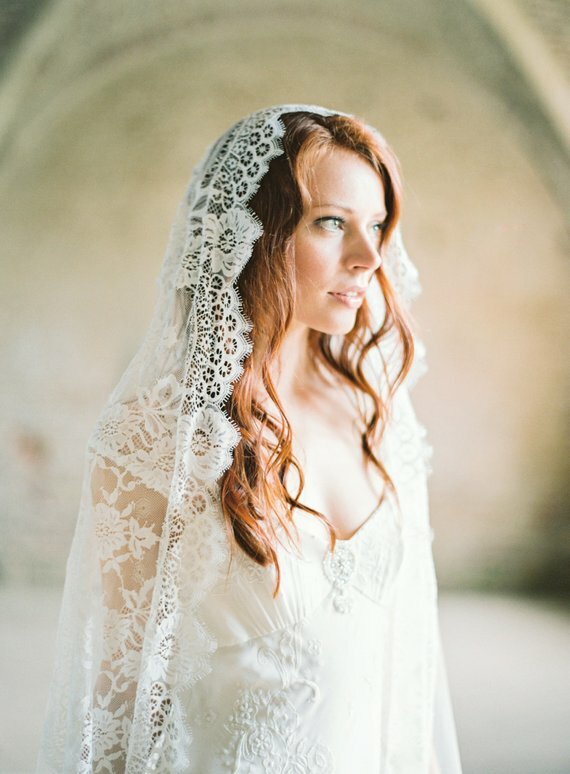 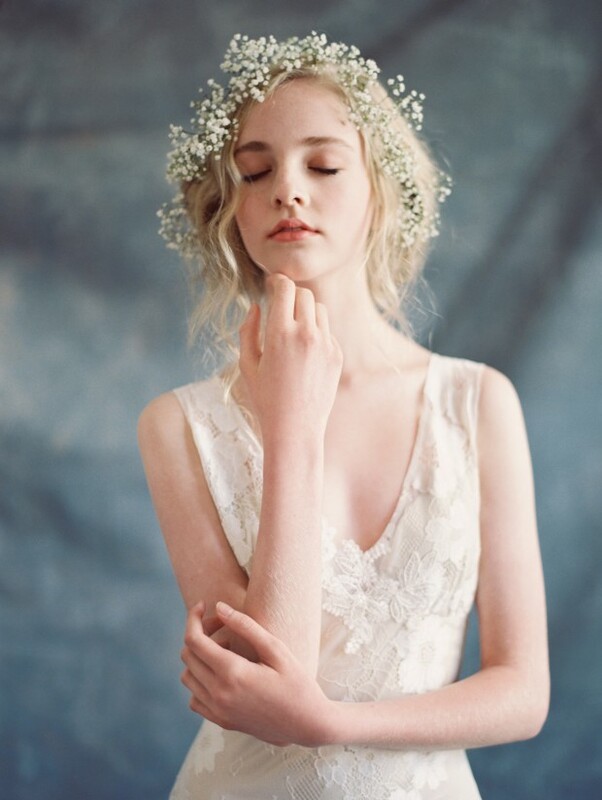 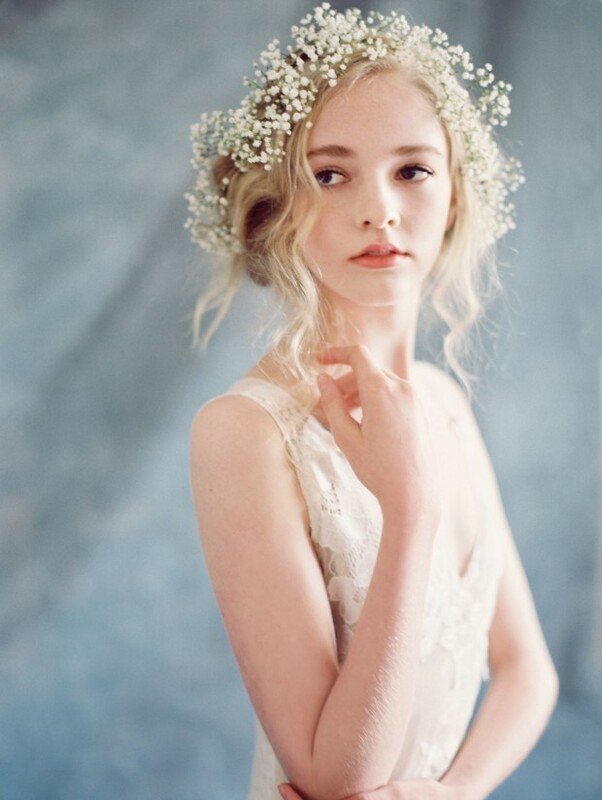 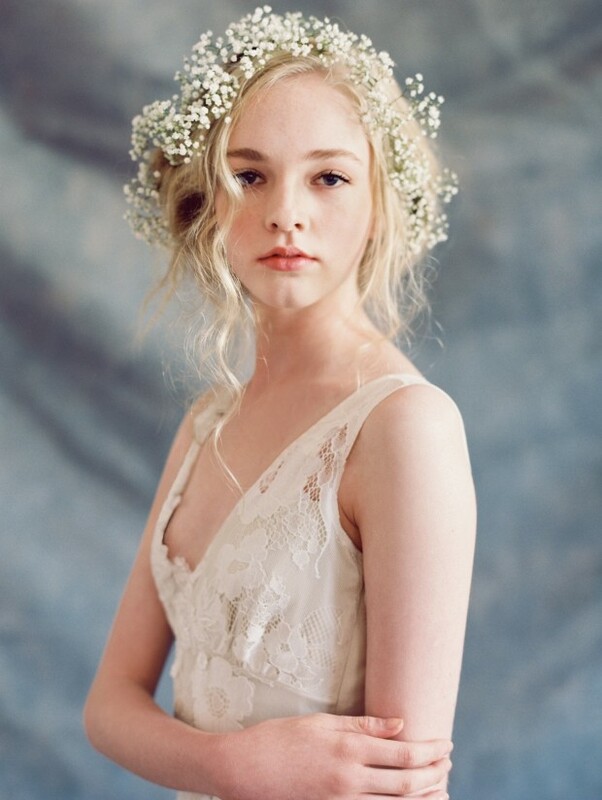 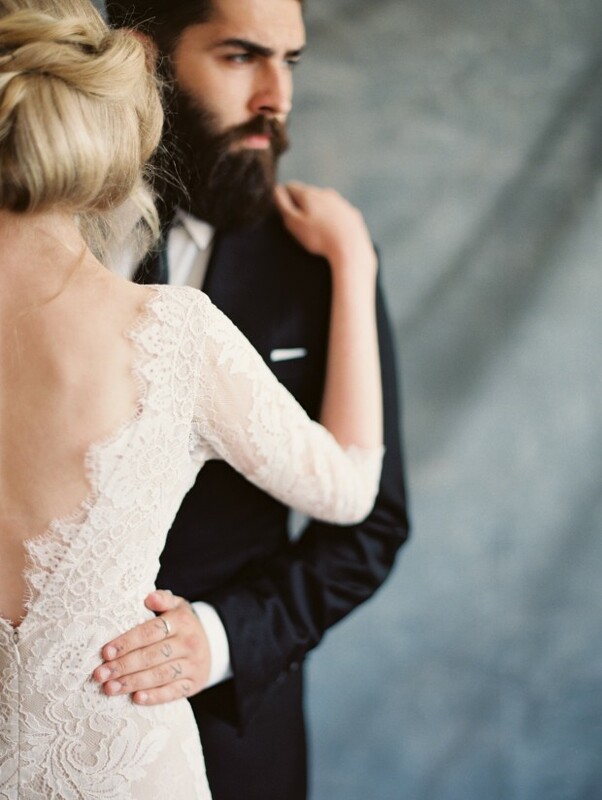 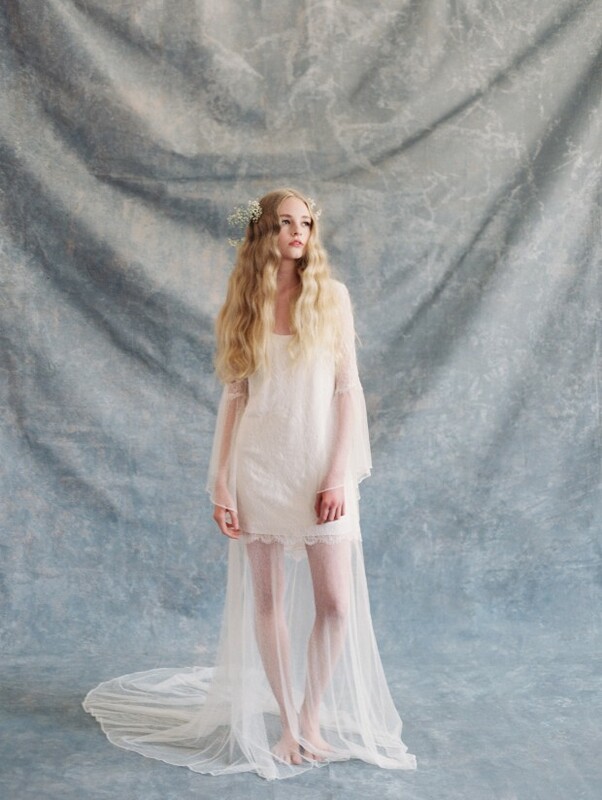 Isn’t this bridal gown collection by Claire Pettibone uber pretty?! 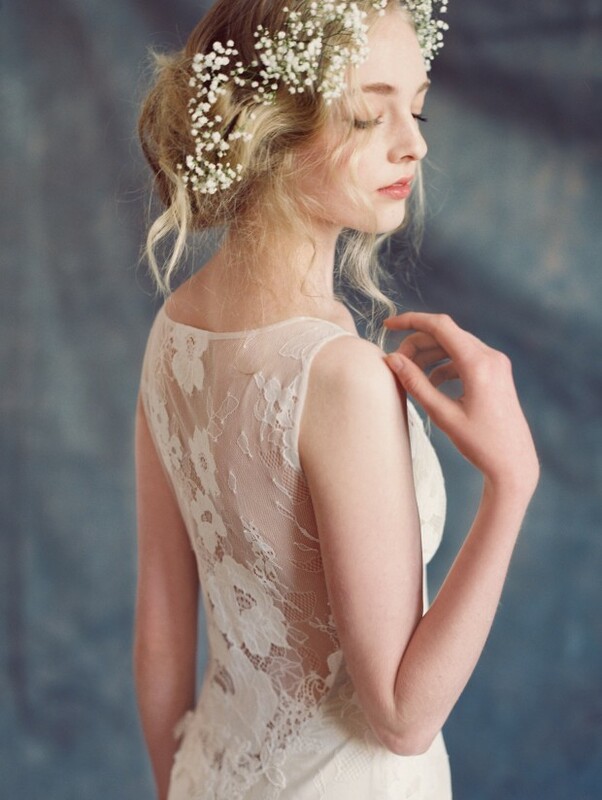 For stockist information click the link.